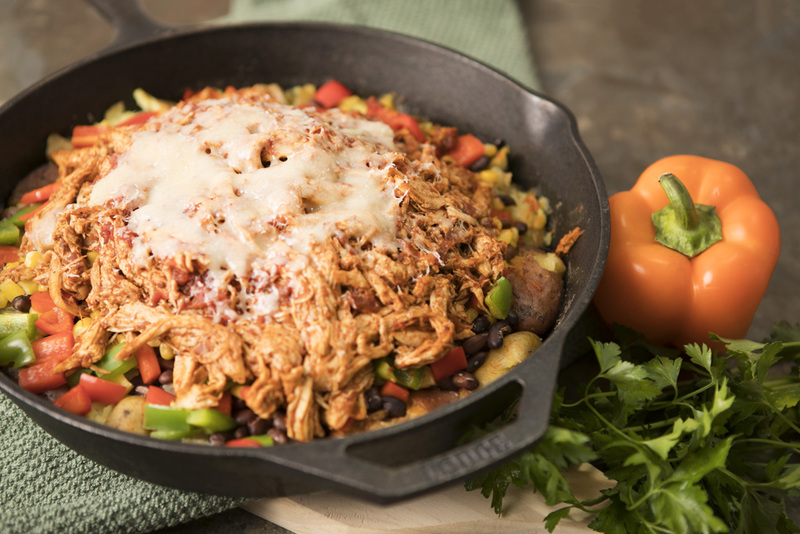 We are always on board for a one pan meal, especially when made in a cast iron skillet. This one is a new favorite for sure. It couldn’t be more perfect for a middle of the week meal, and guess what?! It’s the middle of the week, happy hump day! 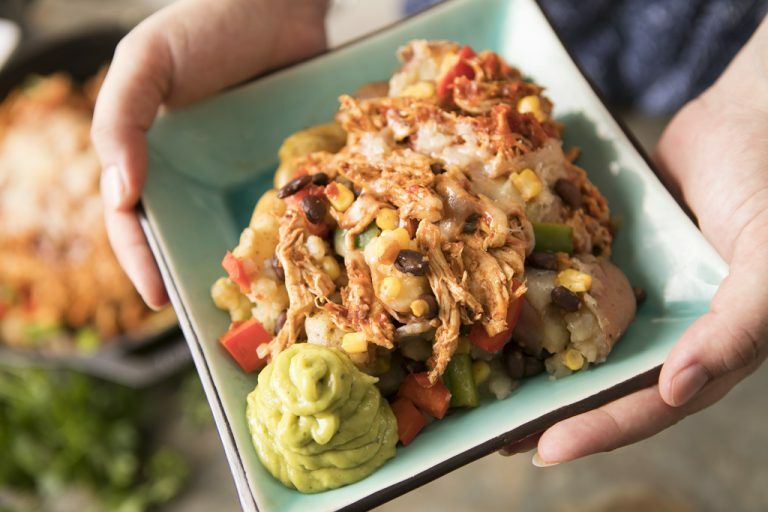 If you like a spicy kick to your food, and a minimal amount of effort needed to prepare, than you best add this recipe to your recipe box. And even better, it’s a complete original developed by Sammy here at Blooming Bites. She deserves a major shout out for coming up with this delicious combination of flavors. The last original recipe she created on our blog was the red pepper and cauliflower soup , and it was a real hit. But we both agree this one takes the cake. 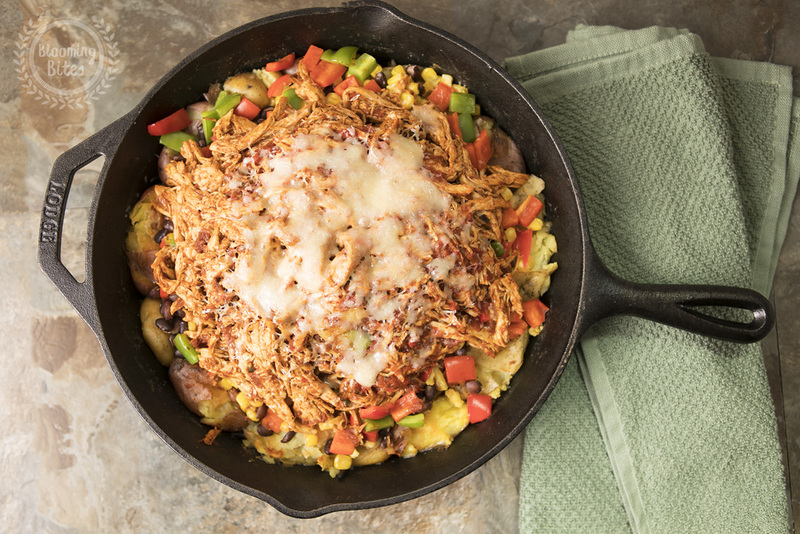 Similar to the other chicken skillet we did a few weeks ago, which was the buffalo chicken skillet , the first and most delicious layer in your cast iron are going to be your baby red potatoes. 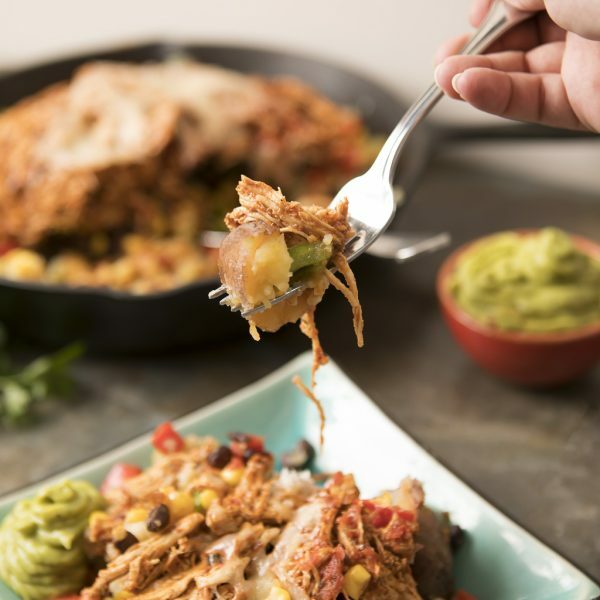 The only tip we can offer when preparing this and the buffalo chicken skillet, is to not fully cover your potatoes with the chicken or vegetable stock. About ¾ of the way is perfect. Any more than that and it will take forever for the liquid to burn off completely. You want your potatoes to be just soft enough so they are easily smashed. However, we consider this a fail proof recipe and it would take a lot to mess it up. 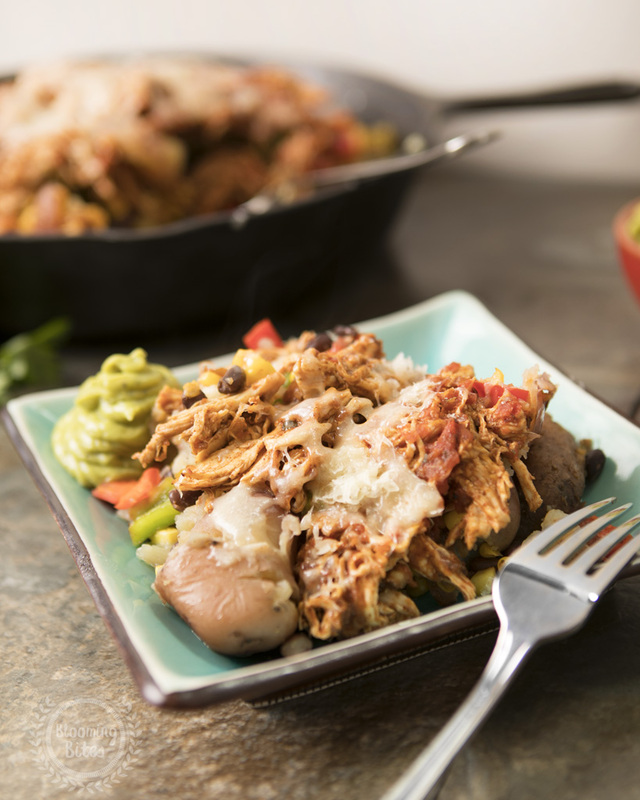 So, as your official taste testers, we give this southwestern chicken skillet an A+!! We hope you like what you see and keep coming back for more! Happy cooking and eating! Add potatoes to skillet, and cover with chicken broth about ¾ of the way. Bring to a boil, simmer for 10 min covered, and then uncovered until liquid is gone. Add beans, corn, cooked and marinated chicken, bell pepper, and top it off with salsa. Cook in oven for 10 minutes, and serve immediately.